Recently I've been rearranging my bedroom; adding a couple decorative touches, and organizing certain areas for a fresher, cleaner look (yes, I know this should have been done during spring cleaning, but hey-who ever said spring's the only time for organizing?!). One area of the room I really enjoyed redoing, is the bed. 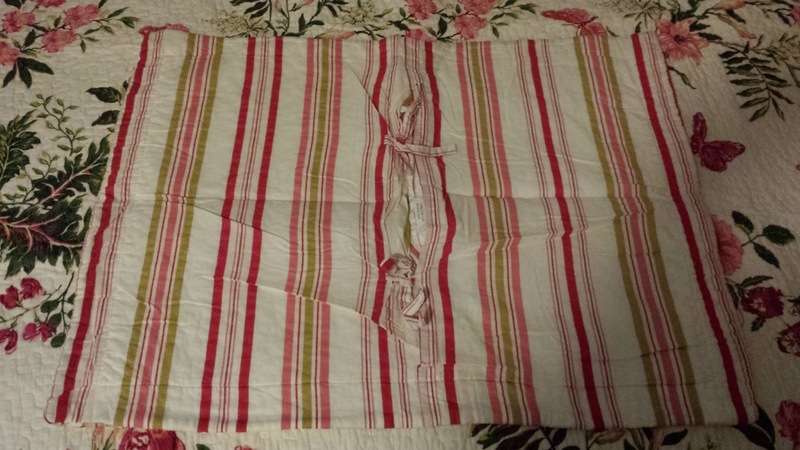 I used to have a rather masculine-looking plaid comforter, and while it did the job, it just didn't add anything to the room. 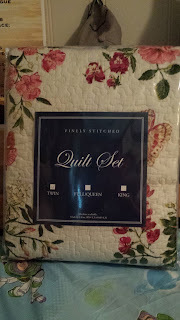 So, when given the opportunity to choose a quilt set from Plow and Hearth for review, I was thrilled! I received the Cotton Butterfly Rose Quilt Set for review. 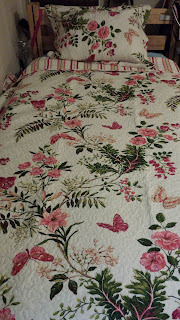 This includes a quilt and matching pillow sham for twin size, and it is absolutely stunning. I was a little leery of the white background, as I tend to go with darker colors to prevent visible staining. No matter how many times I promise myself I won't snack in bed-it never lasts! 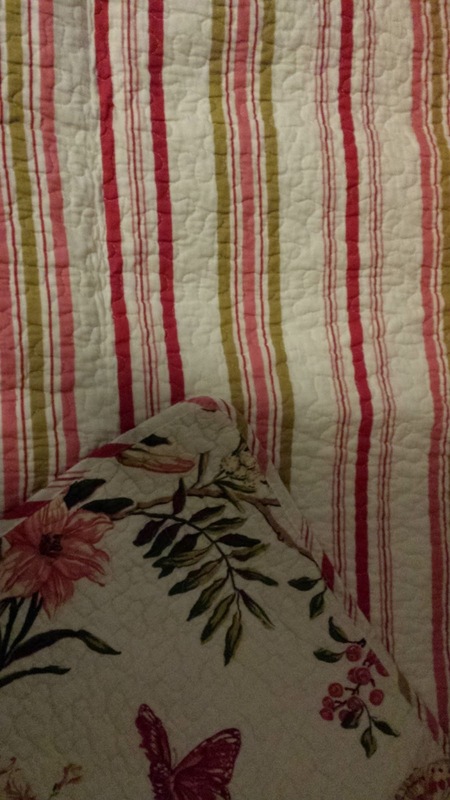 However, this quilt was just so pretty I couldn't help it. When the set arrived, I was pleased that I had made this decision. 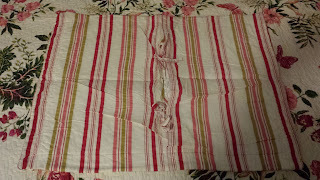 The quilt is so gorgeous, and adds a beautiful touch to the decor of the room. Butterflies and flowers are sprinkled across a white-cream background, and give a very feminine yet outdoors-y air. 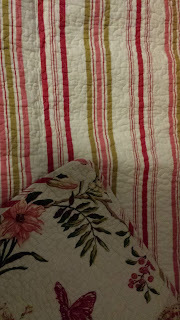 This would be a perfect match for spring, yet I like bringing a touch of spring to my room the rest of the year! 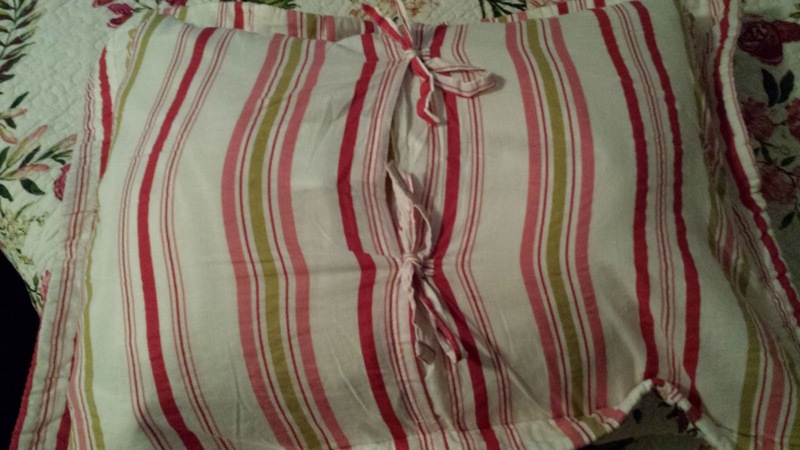 One aspect of the pillow sham I also like, is the ties that hold the sham closed. 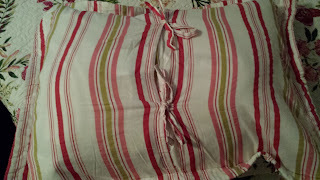 I've never had a sham with this feature before, that keeps the pillow securely inside, and the sham itself closed. A small thing I know, but sometimes the small things make a big difference! Be sure to check out Plow and Hearth for yourself; whether you need bedding, kitchen decor, a new rug, or some outdoor furniture, they have it all! 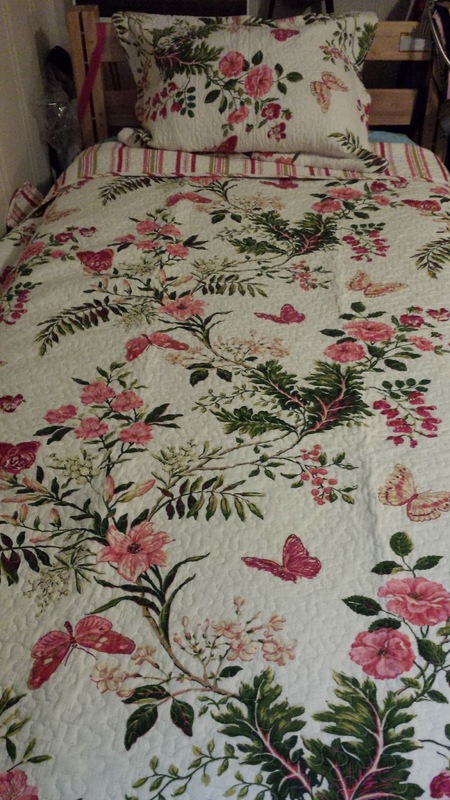 One of my readers will receive a Butterfly Rose Quilt Set (Twin Size)!! I like the Top Hat Owl Statue. I love to garden, but we grow rocks here better than anything. The American-Made Rustic Elevated Garden Bed would be so wonderful to have! I like the Trekking Frog Statue With Solar Lantern. Thanks. I like the Pop Art Garden Easy-Care Polyester Fabric Shower Curtain. I like the Cat Pumpkin Holders.